Ryan had won the Head of Household competition. Jon losing is nominated ala the twist. Ryan nominates Anthony and Tom for eviction this week. 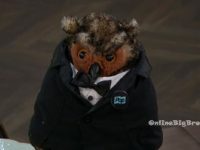 Kato won the Power of Veto and plans on using it on Tom. Kandi, Jon and Tom are on the block. 9:50pm The house guests are in the kitchen snacking and chatting. Tom looks at the camera and comments on how the camera is moving so they must be live. 10:20pm Backyard – Kato and Lolo are chatting about how they’ve been in the house for a week now. Tom joins them. Ryan is in the endless pool swimming. 10:40pm Tom, Kato, Natalie, Lolo and Dina. They start talking about Mooch. They wonder what he’s doing right now. He’s probably watching us. Tom – so wait? Let me get this straight, we’re allowed to talk about what happened? Since its been on the air already? Dina – he’s probably laughing at us somewhere. Tom – I’m confused about whether we can talk about how hilariously duped we were.. I guess they would say something like do not talk about the thing that happened. Kato – what could have happened was that we were the only end of that joke. Lolo – totally. Tom – you’re saying like day 1. Kato – yeah we were duped right there. Tom – like Julie was saying what the house guests don’t know.. is that the Mook is a mole. 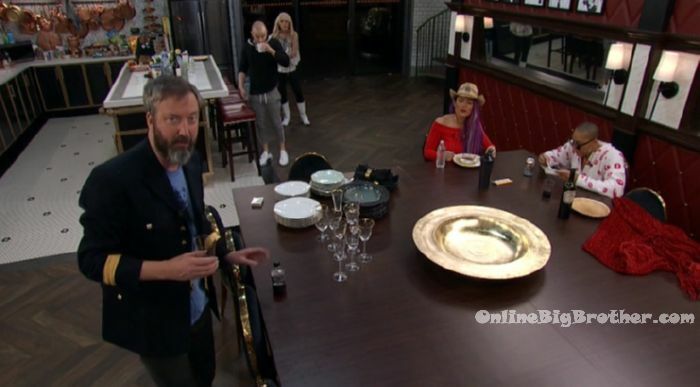 Big Brother switches the feeds. 10:45pm Bedroom. Tamar and Kandi are having a discussion. Kandi – in Atlanta its always an event. Its always something. Someone always whats you to show up for something. I always tell my friends, like why does everyone make it extra important that I have to be there. Tamar – because you’re relevant. Kandi – but I’m not the only relevant person in Atlanta. Tamar – its not a lot. Kandi – no it is. There are a lot of people out there that are doing their thing. Tamar – I didn’t say that. I said relevant and that is a difference than doing your thing. Kandi – MMMmhhh.. Tamar – yes, it is! Like Jackie has been doing her thing for a long time .. now she’s become relevant. Kandi – Think about how many reality tv shows are in Atlanta. Tamar – but that doesn’t make you relevant. Some reality tv shows are on tv and don’t nobody give a hot damn. Kandi – but there are a lot of them in Atlanta that are poppin. Tamar – where?! Let me think of a good example .. Ariana Grande and the Backstreet Boys. They both sell out their concert. Ariana is relevant. Period! They continue arguing back and forth about who’s relevant and who’s not. Tamar gets frustrated. Tamar – You’re trying your best to make me look shady and I don’t like it. Kandi – how am I making you look shady?! We’re just having a genuine conversation. I just don’t agree with you. I’m not trying to make you look shady. Kandi leaves the room. 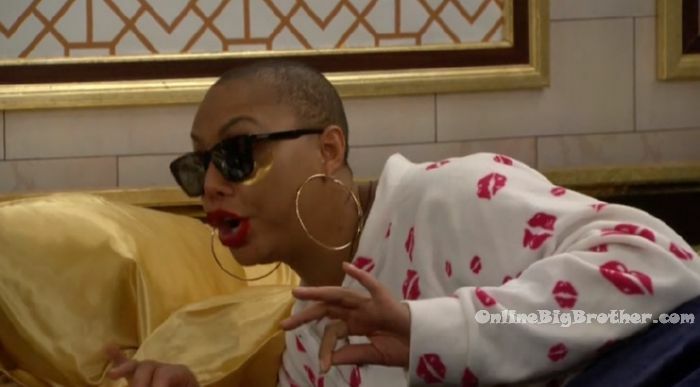 11:10pm Tamar tells Ricky after Kandi leaves – I will not be a part of any negativity in my life. Anyone that is, has to leave. She just sat up here trying to make me look shady in front of her friends. And I’m sick of doing that. I didn’t try to demean anyone. And that’s that bullsh*t that she does and brings! And that’s why I can’t do that! That’s not fair to me. Ricky – it seems like a misunderstanding. Tamar – no its not. She is shady as hell. I am sorry. She will do anything to keep her and her friends looking as if I am trying to be negative or shady. Because that is never nor ever will be my intent. I am a girls girl! I have four sisters and a mother .. I don’t hate on anyone. We’ll sit up here arguing .. she’s been doing that sh*t since day one! You’re not going to sit up here and make me look crazy! You’re not going to do that. Ricky – you don’t think she does that to everybody!? Tamar – not like she do to me. 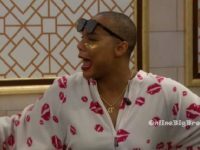 Tamar – and if you don’t watch the show .. why the f**K are you here!? I am not doing it! I am not! I’m not! I am just being honest. I am not going to fighting for my character everyday because your 2bot friends don’t like me. And you’re not going to keep that up to America and when the cameras not here you’re all up in my face. Well one of us got to go and one of our a$$es are on the block and one of us are not. Lolo joins them and Tamar tells her about what happened. Tamar – I was like why are you here!? If you don’t watch Big Brother .. then why are you here!? They (Kandi’s friends) aren’t even on the show! Why are you bringing them up?! What is the point of that?! You being slick! Tamar – why do I have to be on every tv show arguing with people!? Lolo – you signed up for this. Tamar – I didn’t sign up for that b***h! 12:30pm Bedroom – Tamar and Natalie. 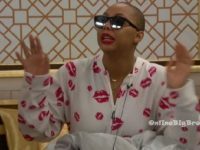 Tamar – you know how I feel about not fighting with nobody! Natalie – I know. 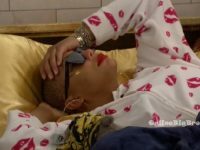 Tamar – I just feel like before that happens .. let me just remove myself because I feel like that’s what she wants to do. Lolo – no. Tamar – they why? Natalie – she might just be trying to test you. Tamar – testing me to do what? Natalie – look what’s happening. You’re yelling at her and doing everything that you said you didn’t want to do. 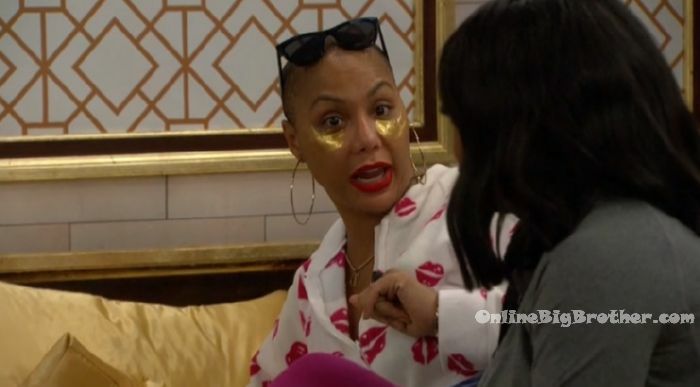 Tamar – no, I wasn’t yelling at her at first. Natalie – what did we talk about today? Tamar – I know.. I’m trying. Why bring those people up in here (Kandi’s friends), they’re not here! But you keep bringing them up. Natalie – you just shouldn’t be near each other. Don’t be in the same room. For your own sanity .. so you don’t pop off.. she is just a number that is eventually going to go. Lolo – show people how strong you are. Natalie – just do your best to avoid it. Tamar – she’s a mean girl. She’s been able to mask being an extremely mean person. Help me understand. Natalie – you’re hurt and you want a sincere apology.. but you’re not going to get it. 1am Other Bedroom. Kandi, Tom, Kato and Dina. Kandi talks about how she is going to try and just avoid Tamar. Tom – maybe try a different tactic… like agree with everything even though you don’t agree with it. You can jujitsu it. Dina – no you can’t be fake.. that’s just as bad.. being phoney. Tom – there’s no time for negativity in this world. Unless you’re locked in a house with someone and can’t leave. They laugh. 1:15pm Ricky is giving Tamar a massage. Soooo … is the mooch gone ?!?! I’m obsessed with you Simon and dawg … it’s only been like 5 years … best site ever! Is the bb heart emoji equal to a duck? Then you two get a million ducks! It appears the Da Mooch has left the show. And Kandi is the replacement nom. 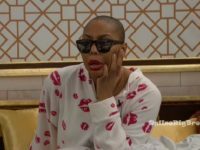 I think Tamar may hv pushed that agenda Which if true is stupid because kandi could blow up their alliance to the other houseguest and Jon could end up going home if they band together. The “alliance” only has 3 people to vote and the other side will hv 4. But it’s going be Dinah who decides cuz she’s tight with Jon and I don’t know if she will vote against Jon. I can’t with tom green… I am transported back to my 15 year old self and seeing him wander the house and sing random songs makes me laugh to tears. I have lost it on hour what, 5 of feeds? But I love it! Cheers to my fave Canadians for watching this 24/7 and not going delerious! I kind of think I might be in the norm with this house. Are we all mad?! HAHAH I watched freddy got fingered recently.. one of those nothing to watch and too much green sorta evenings. I never really liked him too much back in the day but I seem to like him now … weird. I knew it wouldn’t be long b4 Tamar & Kandi went at it! 2 very strong personalities who already have beef! This is exactly what Kandi does on her reality show! She’s very sly & has mastered how to take the smallest most irrelevant thing & use it to get you all in your feelings! Once you’re there she stirs the pot by constantly bringing peoples past experiences with her “so called friends” (which mind you, has absolutely nothing to do with her) against you! Then she acts surprise when you finally snap! 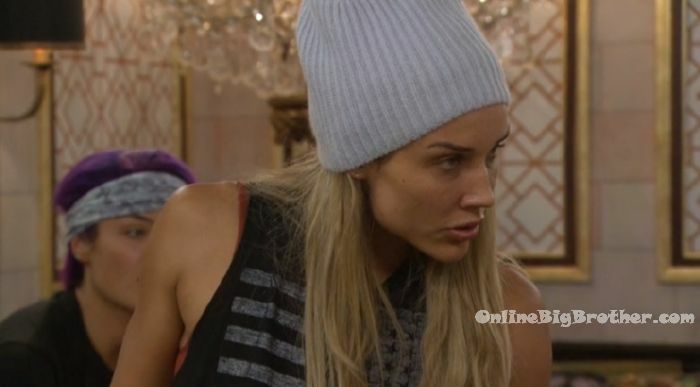 She then looks at everyone around her to make sure she has an audience, so she can start to play the victim card by inserting the I’m appalled facial expressions & eye rolls, que the tears, gets excited, raises her voice only to say, “I don’t know why she’s tripping, I didn’t do anything” throws her hands in the air & exits stage right!! I’m sorry but No Standing “O” from me! I’ve seen her do this on The Housewives time & time again!! Tamar you’ve got to get wise to her & don’t let her get you off your game girl! Please walk out of her #Shade back into the light & keep bringing the funny & building your social game! Kandi is irrelevant she won’t last long in there! She is an UNDERCOVER MEAN GIRL who’s always trying to get in the COOL KIDS CLIQUE & when she feels like she’s not the center of attention or looked up to, she’ll start throwing shade! If she would just chill she would be a shoe in but some people love to bring the drama! She’s such a Diva with NO Social Game! 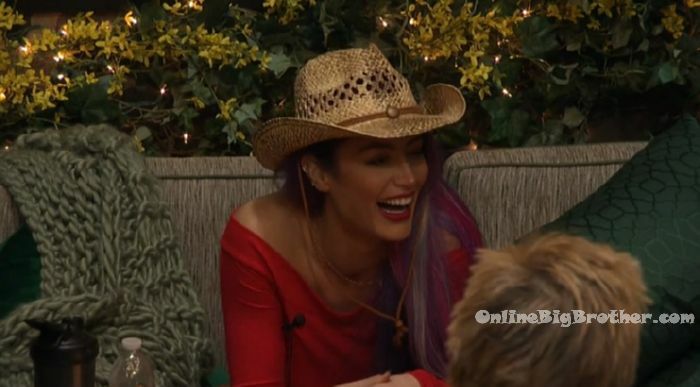 I don’t even understand why she’s in the BB house! It seems like it would be so beneath her. I really want to be team Kandi but she does this same thing every single time! She’s exactly why I stop watching Housewives of Atlanta! Girl allowances will never last b/c #pettiness Ughhhhhh! I agree, but Tamar blew it way out of proportion, trying to turn other Houseguests against Kandi to get her voted out since she’s on the block. Natalie did a good job of shutting her down, saying they’re not voting Kandi out this week because they have a bigger target. 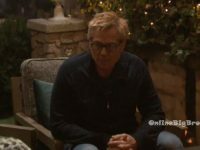 Word on the curb is Kato won the POV and Ryan nominated Kandi in place of The Mooch. Don’t hold me to it though. Simon and Dawg so glad to be back on your great site. Hope Tamar is out soon, Drama HO! Don’t know what show I was watching, but I thought I saw Ricky win the POV and he didn’t use it. Kato didn’t even get to play. Maybe he did…I am so confused!